It's just not right to have different rates for DVD mailers. WHERE WILL IT END? GameFly, which rents games both digitally and otherwise, has been having an argument - a tiff - well, perhaps something resembling a dispute - actually let's call it a legal quarrel, why not - alleging that the Post Office has been acting unfairly by having different rates for letter-shaped and flat-topped DVD mailers. GameFly has emerged victorious from the arena, and its luckless opponent now has to equalize its rates. "This Order is comprised of four sections," and no, you're not about to read them all word for word, but the bit you need to be aware of is that GameFly's argument boiled down to the fact that, with this difference in rate, a competitive advantage had effectively been given to Netflix. Is this the first time GameFly has had to resort to the courts in order to deal with Post Office shenanigans? No. Also, no. But at least this time nobody at the Post Office was actively swiping GameFly's stuff. Makes you wonder why we stopped using carrier pigeon, really, though a mail carrier that can be bribed with birdseed probably isn't the most effective means of getting items from point A to point B. Nine potential remedies were discussed before the Commission reached its conclusion. 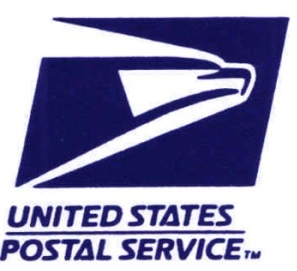 Part of the problem is that, though the Post Office is one entity, that ziggurat is comprised of countless local offices, and the Post Office isn't willing to guarantee that local managers will comply with any directive. Presumably those same managers ride roughshod over any head office memo and refuse to wipe their feet when they come in of a morning too. "The Postal Service continues to express its unwillingness to commit to meaningful monitoring or enforcement," the Order mournfully records. Thus the Commission has reached its verdict: equalized rates for letter-shaped and flat-shaped DVD mail.